each employee and their location. 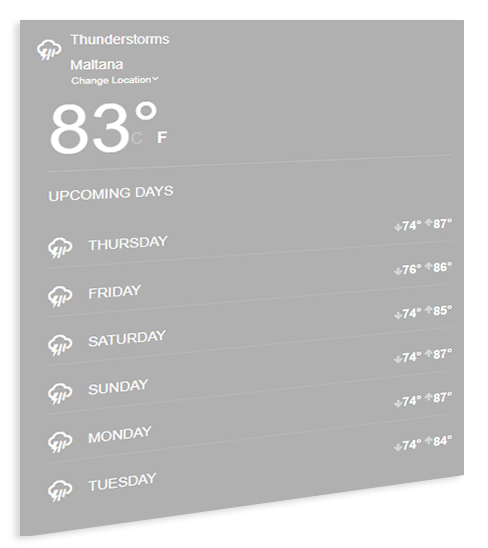 Integrated with OpenWeather and Weather Underground, Weather allows you to easily display vital weather information with incredible accuracy. 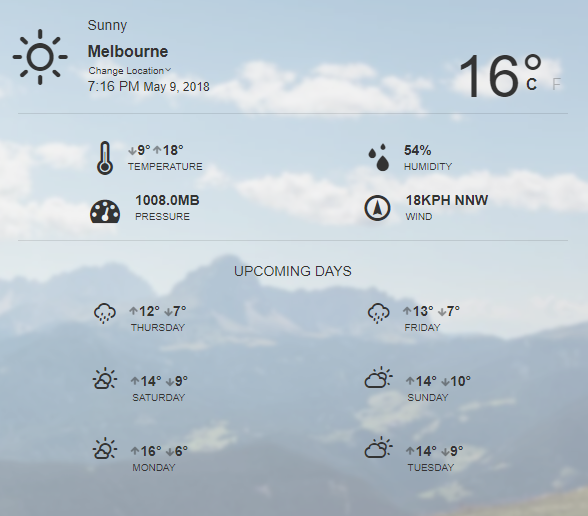 Completed with a world clock, Celsius and Fahrenheit temperature readings, weather averages/extremes, plus a 4 to 6 day forecast. 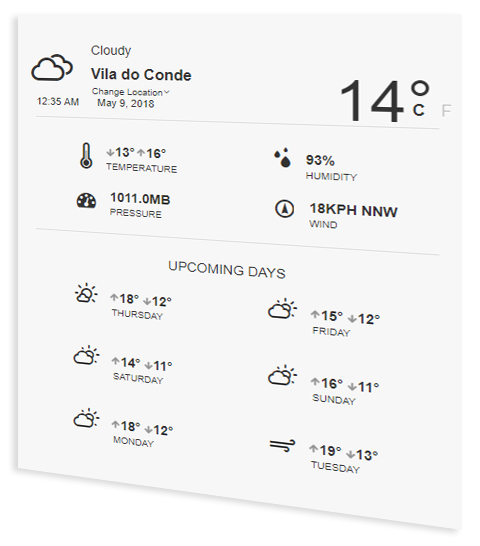 Powering both classic and modern SharePoint, Weather can detect your exact location and display the weather information accordingly.